Healthy Now and Later: D-Power Giveaway! 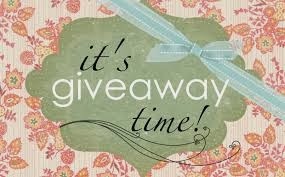 for supporting Healthy Now and Later with a free giveaway! Often called the “Bone Vitamin” or "Sunshine Vitamin", Vitamin D3 is created from sunlight and cholesterol in the skin (Norman, 2008). It can also be absorbed through foods such as eggs, cheese, beef liver and fortified milk. For various reasons, more and more people are no longer able to obtain the necessary amounts (Carter, 2009). These reasons include: living in a geographical area in which there is often little sunlight available, using SPF products to protect against the negative effects of too much sunlight, being stuck indoors during the majority of sunlight hours, diagnosis of various medical conditions that inhibit absorption, among other. Although some foods are now being artificially enhanced with Vitamin D, there are not enough of them to provide all we need.A few years ago, Vitamin D was thought to do nothing more than allow calcium and prosperous to be absorbed for good bone health. New research however has found that vitamin D may play a role in the health of our digestive track, immune system, weight, respiratory system, and circulation (see below resources and references). Symptoms of bone pain and muscle weakness can mean you have a Vitamin D deficiency. Many doctors, include Dr. Zaidi, are now recommending a sublingual route of vitamin D for maximum absorption. Why? Because sublingual, or under the tongue, absorption takes vitamin D directly into the systemic circulation, just like vitamin D that is absorbed from the skin. In contrast vitamin D from pills is absorbed into from the intestines, which takes it to the liver first before entering into the systemic circulation. This not only delays the benefits, but actually allows both the intestine and the liver the opportunity to discard the vitamin before ever reaching circulation. This becomes even more important in people who have problems with digestion, take medications that can interfere with the intestinal absorption of vitamin D and people with any sort of stomach surgery. William M. Deihl of Mayor Pharmaceutical Laboratories Inc. in Phoenix, says sublingual vitamin products should especially appeal to the estimated 80 million Americans with intestinal problems, swallowing problems or whose ability to absorb nutrients has been reduced by gastric bypass surgery. I had the pleasure of speaking with Nikisha Bond, founder of Jackson Bond Enterprise and TEN Spray Vitamins. TEN's philosophy is simple: “make spray vitamins that people need and make them with the highest quality ingredients.” Starting February 3rd bottle of her top selling vitamin spray for FREE here on Healthy Now and Later. Enter now by CLICKING HERE or visit TEN Spray Vitamins website and social media sources to find out more about their products. Carter, G.D. (2009). 25-hydroxyvitamin D assays: the quest for accuracy. Clin Chem 55,1300-1302. Holick M.F., (2004). Vitamin D: importance in the prevention of cancers, type 1 diabetes, heart disease, and osteoporosis." Am J Clin Nutr. 79(3), 362-371.
rationale and design of a large randomized controlled trial of vitamin D and marine omega-3 fatty acid supplements for the primary prevention of cancer and cardiovascular disease. Contemporary Clinical Trials. 33(1), 159-171. Normal, A., (2008). From vitamin D to hormone D: fundamentals of the vitamin D endocrine system essential for good health. Am J Clin Nutr 88(2), 491S-499S. Woolcott CG, Wilkens LR, Nomura AM, et al, (2010). Plasma 25-hydroxyvitamin D levels and the risk of colorectal cancer: the multiethnic cohort study. Cancer Epidemiology, Biomarkers & Prevention. 19(1),130-134.